Highlights of Bury's 3-1 win against Peterborough in Sky Bet League One. Bury leapfrogged Peterborough to climb to 13th in the Sky Bet League One table after beating them 3-1 at Gigg Lane. After a subdued start the game burst into life as Bury scored twice in four minutes through Leon Clarke and Ryan Lowe. 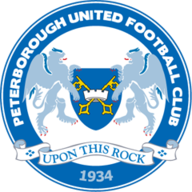 Marcus Maddison pulled one back in the 52nd minute but Posh then had defender Ricardo Santos sent off for a second booking after 79 minutes. Andrew Tutte scored from the resulting free-kick to condemn the visitors to their fifth straight league defeat. Bury's Joe Riley was injured in the warm-up so Jacob Mellis came into the starting line-up, only to hobble off himself after just 18 minutes. But the hosts took a 29th minute lead as Chris Hussey's left wing cross crept through to Clarke who side-footed in off the far post. Danny Mayor then picked out Lowe in the right channel, with the veteran striker cutting inside his man before poking the ball home. Posh replied with Maddison forcing Ian Lawlor to tip over a free-kick, before Maddison fired home after a poor clearance by Lawlor. 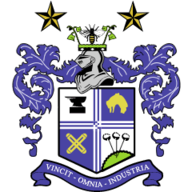 Maddison and Tom Nichols went close to equalising, although Bury also threatened through John O'Sullivan and Tom Soares. Tutte curled in a superb free-kick from the side of the area to make it 10 points from 12 at home for the Shakers.